As part of the NJSGA’s ongoing Rules of Golf educational program, the NJSGA Rules Committee will “bring you along” with a group of players during their round to review common Rules scenarios. The second of the series involves searching and identifying your ball. A group tees off on the 5th hole where one player’s shot lands far-left into an area of tall fescue grass. 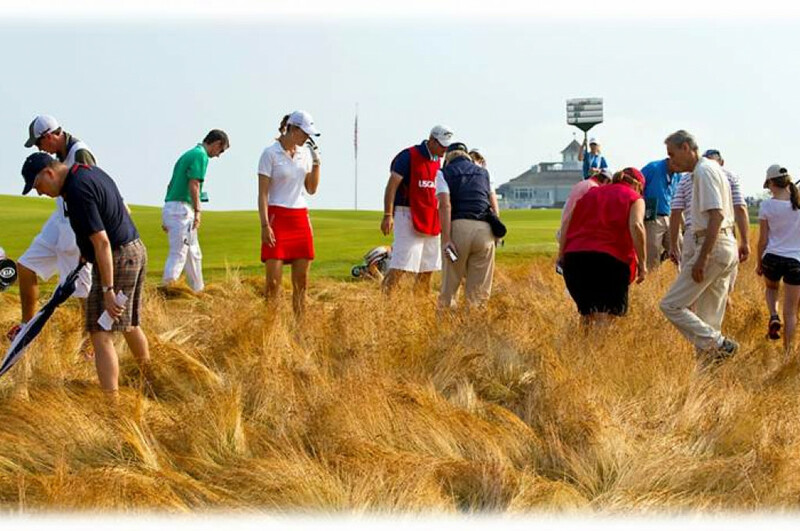 All three players in the group arrive at the estimated spot that they think the ball landed and immediately notice a ball in the fescue – but the ball is covered by a few leaves. It is unclear whether this is the player’s ball. No other balls are visible in this area. If the ball in question might be the player’s ball, but cannot be identified as it lies, the player may lift (or rotate) the ball – but before touching the ball, the spot of the ball must first be marked. The ball may not be cleaned more than needed to identify it. In this case, the player properly marked the spot, moved the leaves, and then rotated the ball but realized that this was not the original ball. This process took 1 minute. After the player realized the ball was not the original, the player began searching. About 2 ½ minutes later (and 3 ½ minutes after getting to that area) the player accidentally kicks a ball hidden at the bottom of the fescue which had been covered by a few leaves. That ball is identified as the player’s ball. The 1-minute time spent identifying a ball does not count in the 3-minute search time. The time of search stopped when the player found the wrong ball and stopped searching. So, the player finding the ball within the 2 ½-minute search was within the 3-minute search time allowed by the Rules. Further, since the player was fairly searching for the ball, there is no penalty for accidentally moving it. Having accidently moved the ball, the player now estimates its original position and replaces the ball on that spot – in this case deep in the fescue. Loose impediments (e.g., leaves) do not need to be replaced even though the ball would have coincidentally lied under the leaves. For more information, key Rules references are 7.1a, 7.3, 7.4, Interpretation 7.4/1 18.2a(1)/1. 18.2a(1)/3.